The Marathas rose to power under Shivaji. He was born at Shivner Fort in 1627. His father was Shahji Bhonsle and mother was Jijabai. He inherited the Jagir of Poona from his father. He conquered many forts like, Kondana, Chakan, Toran, Purandhar, Rajgarh, Supa and Panhala. The Bijapur Sultan sent Afzal Khan against Shivaji, but he was murdered by Shivaji in 1659. Shaista Khan, was sent by Aurangzeb against Shivaji. Shaista Khan defeated and captured Poona from Shivaji. But Shivaji made a bold attack on Shaista Khan and plundered Surat and Ahmednagar. Raja Jai Singh of Amer was sent by Aurangzeb to put down Shivaji in 1665. He succeeded in besieging the Fort of Purandar and opened negotiations with Shivaji. The Treaty of Purandhar was signed in 1665, according to which, Shivaji had to surrender 23 forts out of 35 forts held by him to Mughals. The remaining forts were to be left to Shivaji on condition of service and loyalty to Mughal emperor. When Sivaji visited Agra, he was imprisoned there. Shivaji escaped from Agra and began Military preparations. He then captured all his lost territories from the Mughals. In 1674, he assumed the title of Chatrapathi. 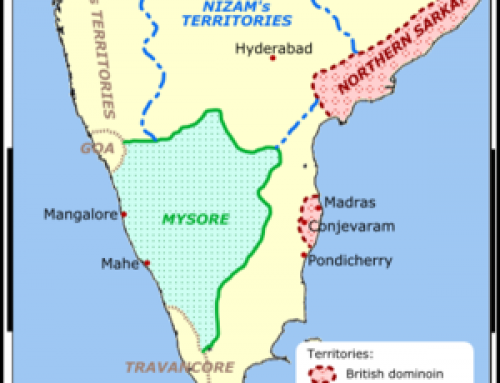 He conquested Karnataka during 1677-80 before his death. He was a great administrator. He had a council of ministers called Asthapradhan. Each minister was directly responsible to Shivaji. He divided the Maratha territory into three provinces under a viceroy. Provinces were then divided into prants, further subdivided into Paragans. The lowest unit was village, headed by Patel. Peshwa: Initially finance and general administration. Later became prime minister. Sar-i-Naubat or Senapati: Military commander. Waqenavis(Mantri): Intelligence, postand home affairs. Most of the administrative reforms of Shivaji were modelled on practices of Deccan Sultanates. The revenue system under Shivaji was based on that of Malik Amber of Ahmednagar. The land assessment was completed through Kathi. three types of land was classified- Paddy fields, Hilly tracks and garden lands. Shivaji appointed his own revenue officers called as Karkuns, while reducing the powers of existing deshmukhs and kulkarnies. Chauth and Sardeshmukhi were collected in neighboring territories of Mughal empire, not in Maratha empire. Chauth was 1/4th of land revenue paid to Marathas in order to avoid Maratha raids. 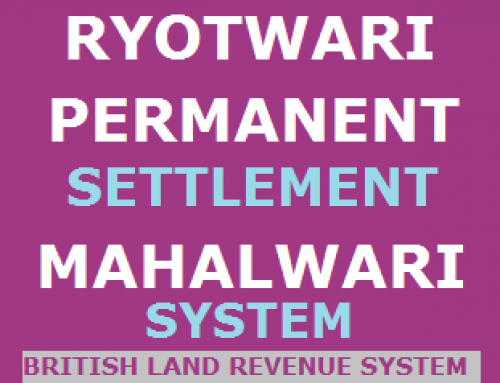 Sardeshmukhi was additional levy of 10% on such lands which were considered hereditary rights. After death of Shivaji, a war of succession took place between Shanbaji and Rajaram, his sons. Shambaji won, but later captured and killed by Mughals. Rajaram usurped the throne but Mughals made him flee to Ginjee fort. He was succeeded by Shivaji II under guardianship of Tarabai and Shahu. He was the first Peshwa. He made the post of Peshwa hereditary. Balaji vishwanath gained certain rights from then Mughal emperor Farukh Siyar. Firstly the Mughal emperor recognized Shahu as the Maratha king. Secondly, he allowed Shahu to collect chauth and Sardeshmukhi from 6 Mughal provinces in Deccan. Balaji Baji Rao succeeded his father as Peshwa Baji Rai I. With Sahu dying without any issues, and other nominated successor Ramraja in Satara prison. Balaji Baji Rao became the sole controller of Maratha kingdom. He entered into an agreement with the Mughal emperor Ahmed Shah in 1752, according to which, the Peshwas would protect the Mughal empire from external and internal threats. For this, the Marathas would collect Chauth from northwest provinces along with the total revenue coming from Ajmer and Agra. 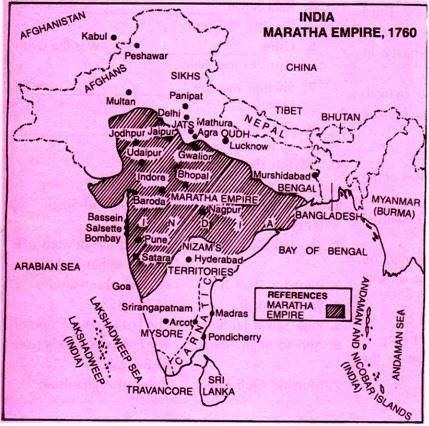 Therefore, when Ahmad Shah Abdali invaded India, Marathas fought Third Battle of Panipat in 1761. Though Marathas fought bravely, they were defeated. This marks the decline of Maratha Power in India. 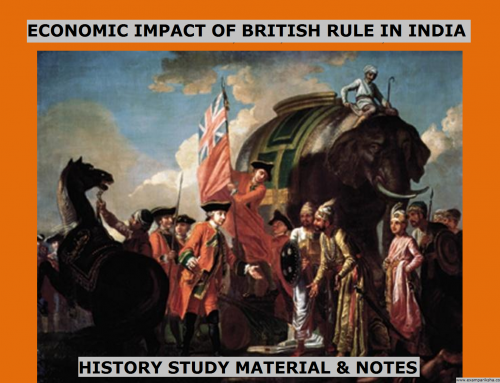 Even though Marathas emerged as a significant power after decline of Mughal empire, they could not succeed in preventing the establishment of British power in the country. This happened mainly due to lack of unity among Maratha chief families. 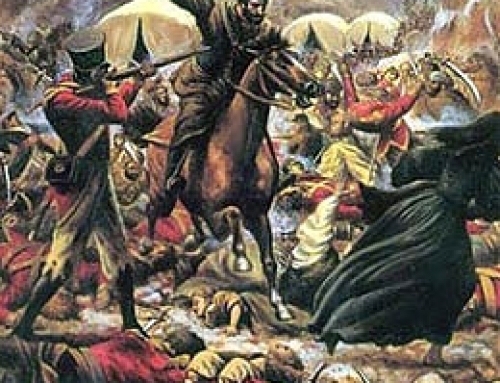 Other factor that helped in establishment of British power in India was their superior artillery and army. The British fought in favour of Peshwaship to Raghunath Rao. The English (under Hastings) were defeated by the Marathas. They had to sign the Convention of Wadgaon in 1779, which was humiliating for the British. The English later signed the Treaty of Salbai in 1782 where they renounced their cause of Peshwaship for raghoba. The Maratha Peshwa Baji rao II signed the Subsidiary Alliance Treaty of Bassein in 1802. Other Maratha chief who were part of Maratha confederacy, were not happy due to this arrangement. The Scindias of Gwalior began the war against the British but they were defeated by the British. It is also known as Pindari war. Lord Hastings was determined to proclaim British paramountcy in India. Hastings moved against Pindaris which transgressed the sovereignty of the Maratha chiefs and the war began. The Marathas were defeated.